Doris Rigoni is Assistant Vice President for Mile High Banks Commercial Real Estate. Ms. Rigoni specializes in commercial real estate loan origination, special asset restructuring, and disposition. Prior to her time at the bank, she spent 10 years in Commercial Real Estate on the title/due diligence side of transactions. Ms. Rigoni’s early career was in the public sector working directly for Colorado Governor Bill Owens in the Economic Development Community and for the Denver International Airport Partnership. Here, she assisted companies relocate to Colorado and offered tax and grant incentives. Doris brings a very strong understanding of who the players are in the Denver market, how to get a deal done, and provides both a macro and micro approach to any deal, ensuring all avenues are covered -- from both the public and private sector standpoints. She has a very strong understanding of financing, due diligence, and relationship development. Doris is highly analytical, inquisitive, and energetic -- with quick humor. Ms. Rigoni has been awarded multiple company production and industry awards. She is the recipient of the CREW Denver Networking Award 2007, the CREW Rising Star Award 2008, NAIOP Developing Leader Award 2010, is Past President for Colorado Lending Source Certified Development Corporation and past Planning Commissioner for the City of Glendale. Doris has been active in Glendale, serving as Planning Commissioner for the past two years and is passionate about the Glendale Redevelopment of Riverwalk. She is excited for her new role as Council Member. 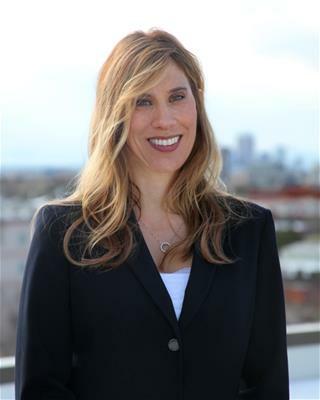 Ms. Rigoni graduated with honors from the University of Colorado, Boulder, holds her Colorado real estate broker’s license, is a past Board Member for the Commercial Real Estate Women (CREW), and is currently active with the local NAIOP Chapter, sitting as the Membership Chair. Ms. Rigoni recently completed her Commercial Banking Analyst Certificate and her Certified Treasury Professional Designation. She attended University of Denver for a portion of the Real Estate and Construction Management Graduate Degree as well. In her spare time, Ms. Rigoni teaches spin classes for Vail Resorts/Bicycle Village, enjoys fundraising for charity events, backcountry skiing, snowboarding, and anything involving a bicycle. She is an avid road/mountain biker and outdoor enthusiast.